Preventing users from attaching their USB sticks to your computers is a challenge worthy of Group Policy. For maximum protection I recommend you test not one, but four GPO settings to disable the USB drive. You have two main tactics, firstly, to prevent users from installing USB drivers, and secondly twart them from reading from a USB device. The problem with preventing installing a driver is that one may have been installed already; in which case policy will be ineffective. My preferred tactic is to foil people reading from the USB drive. The problem here is they can still write, or even execute programs on the drive. Good news, I have a Plan B whereby we employ sister group policies to disable write, and separately, to disable execute. The only problem now is that nobody can use a USB drive. If this is not the outcome you want, then set these three policies in the User Configuration (rather than the Computer section), and deny them to administrators. This double negative means that administrators can use the USB ports unhindered, while ordinary users are denied access. 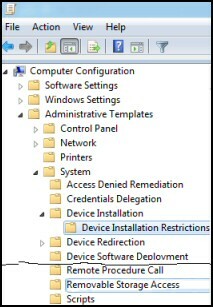 This policy setting prevents the installation of devices that are not specifically described by any other policy setting. If you enable this setting, Windows is prevented from installing the device driver. Note 1: As with many Windows 8 Group Policies, check the logic, for instance, Prevent — > Enable. This means you cannot use the USB drive. Note 2: In keeping with a modern trend there is no need to reboot, or even logoff before this policy bites. You may however, like to run the command-line Gpupdate on the Windows 8 client. Setting group policies in either the Computer, or User Configuration can prevent people from reading (or writing) to a USB device, or copying files to the USB stick. Using a policy in the Computer Configuration section is simple and absolute. While configuring ‘Removable disks: Deny read access’ in the User Section is more flexible, it leaves you open to permissions problems, or to be realistic, opening the door for administrators to remove data from machines. Normally you would also Enable the ‘Deny execute access’, and ‘Deny write access’ next-door group policies. As I mentioned earlier, you could also set the same policies in the User Configuration. Change the ‘Start’ type to 4 = Disabled. Again, set ‘Start’ from 3 to 4. This is my least favourite method, there is an element of closing the door after the horse has bolted, because it won’t work if the user has already used their USB stick. Also users are likely to research methods to reverse this process. Launch Windows Explorer, and then browse the %SystemRoot%\Inf folder. Locate the Usbstor.inf file, right-click then select Properties. You want the Security tab. Click on Edit [Key Point] For the Group or user names set ‘Deny’ Full Control. N.B. Repeat the ‘Deny’ procedure for Usbstor.pnf. Note 4: The script took about 15 minutes to complete. You could improve on my experiment by exporting only the HKEY_CURRENT_USER branch of the registry. Note 5: See more on PowerShell Compare-Object. If possible get a test Windows 8 machine and use Gpedit, rather than risking a domain OU with GPMC. 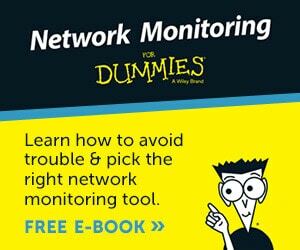 Your final mission may well be a group policy in a domain, but this does introduce extra layers for troubleshooting, for example Domain Controller replication and update delays. Like their predecessors, Windows 8 Group policies make changes to the registry, a fact which you can turn to your advantage by creating your own .adm template based on registry keys, then importing these settings into your Group Policy. That said this advanced technique is only useful if there is no existing policy in the Administrative Template section. If a group policy that I am attempting to apply does not work, I go back to basics and get a simple policy to work just to make sure I am not making a fundamental mistake. Also a strange thing happens once I get one policy working it seems easier to get other more tricky settings to do what I ask of them. Be careful with double negatives in group policies, for instance, ‘Turn off xyz…’ Disabled, would mean a user gets xyz. Check your logic with a quick look at the description of a policy you are about to apply. Require a password when a computer wakes. Do not allow pinning programs to the Taskbar. Windows Firewall: Do not allow exceptions. Prohibit connection to roaming Mobile Broadband networks. Enlightened administrators can find ways of using Windows 8 group policies to make life easier for their users, for example, on low-spec machines ‘Always render print jobs on the server’. If you need to increase security by preventing users from attaching their USB sticks, then there are four group policies to help you achieve your goal. You can prevent installation of removable device drivers. But this may not work, if a USB stick has been attached to the Windows 8 machine previously, and the driver is already there. Thus my first choice would be a policy to disable the ability to read from the USB drive.